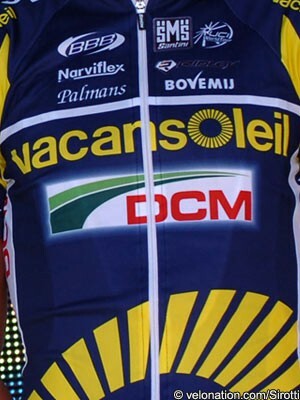 In a surprise move, Vacansoleil-DCM has acquired the services of the talented Russian climber Nikita Novikov for the next two seasons. Novikov currently rides for Kutusha’s feeder team Itera-Katusha and a step up to the WorldTour team seemed logical. However, it was Vacansoleil-DCM that made the most tempting offer, with Novikov deciding to turn professional with the Dutch team instead. “I was able to choose from several options and I am flattered by all different offers. This team showed great confidence in my qualities and I am grateful for that,” said the 21 year old. Vacansoleil-DCM is currently in its first year in the top level as a WorldTour team and has shown its intention of improving and developing young talent. The team this week announced the signings of under 23 riders Bert-Jan Lindeman and Barry Markus along with Poles Thomas Marczynski and Jacek Morajko. Although sprinter Kenny van Hummel is arguably the biggest signing the team has made during the transfer period, team manager Daan Luijkx could not contain his excitement at announcing Novikov’s arrival. Novikov has had eight victories to date this season. Among them were the overall classifications in the Tour de Slovaquie and the Tour des Pays de Savoie.